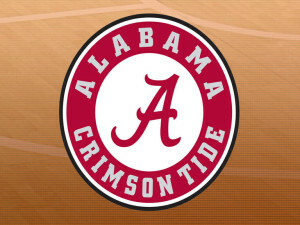 GREENVILLE, S.C. (AP) – Meoshonti Knight scored 16 points and 12th-seeded Alabama made 10 of 14 free throws in the final minute to upset fifth-seeded Tennessee 72-64 in the second round of the Southeastern Conference Tournament on Thursday. The Crimson Tide (19-12) won its third straight over the Lady Vols (19-11) after losing 42 straight in the series and also ended Tennessee’s 23-game winning streak in SEC Tournament openers. The Lady Vols had a 10-point lead early in the third quarter when the Crimson Tide went on a 16-2 run. Jordan Lewis and Knight hit back-to-back 3-pointers during that stretch, Knight making it 38-36. Tennessee made just one of its last 11 shots and trailed 43-39 entering the fourth quarter after Hannah Cook hit a late 3 for the Tide. Alabama led by seven in the fourth quarter but a layup by Jaime Nared pull the Lady Vols within 62-60 with 1:12 left. Lewis started the free-throw parade with 59.2 seconds left, when Tennessee’s Diamond DeShields fouled out, and went 5 of 6 down the stretch. Shaquera Wade’s two free throws at 43.3 made it a two-possession game. The Lady Vols also lost Mercedes Russell on an offensive foul with 22 seconds left. Wade had 12 points Alabama, which plays fourth-seeded and 20th-ranked Kentucky in the quarterfinals on Friday. Three players each had 10. Russell had 16 points and DeShields 15 for Alabama, which had won three straight, the last on the road against No. 2 Mississippi State. It is only the fifth time in 38 SEC Tournaments Tennessee lost its first game.